Some daisies look like trees. And in some places these tree-like daisies form true forests. 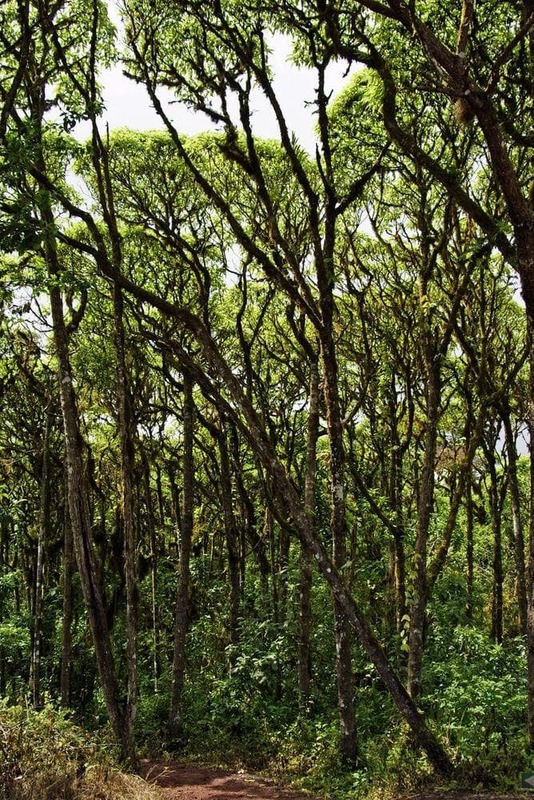 Such unique forest has formed in the central part of Santa Cruz – one of Galápagos Islands. 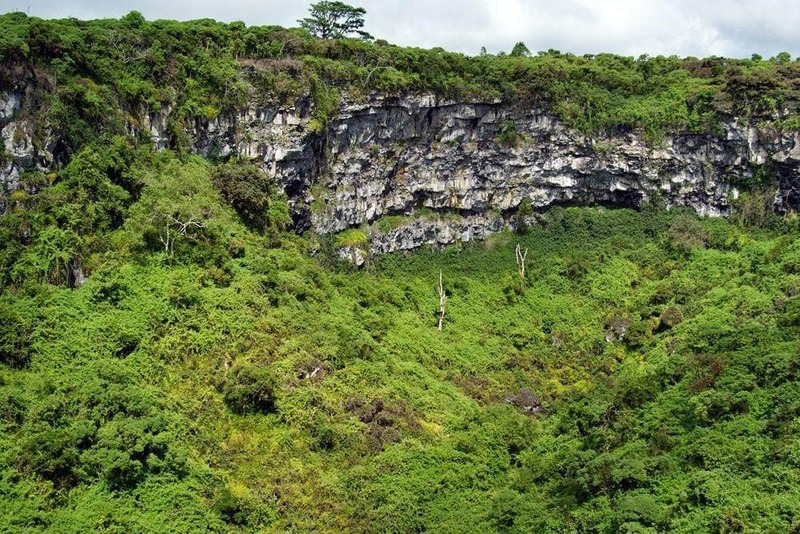 This unusual forest though is in immediate peril and can disappear soon. 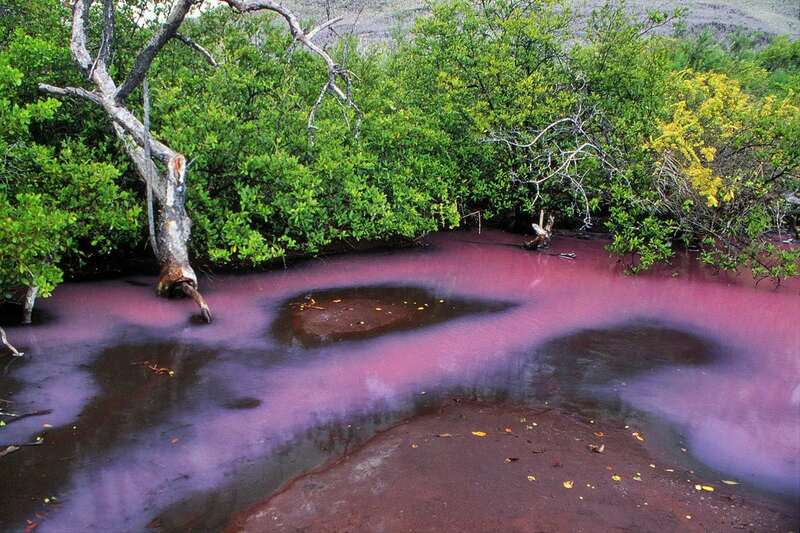 Out of the ˜ 500 species of indigenous plants on Galápagos Islands some 180 are endemic – found only here. 15 of these endemic plants belong to genus Scalesia, Compositae family. 12 of Scalesia’s are shrubs, but three – trees, what is unusual for Compositae. The largest of these trees is Scalesia pedunculata – up to 20 m tall tree, which forms dense forest in the highlands of Santa Cruz, San Cristóbal, Santiago and Floreana islands. Tree or an oversized herb? In spite of its impressive size (trunk circumference can exceed 60 cm) Scalesia pedunculata has many similarities with herbs. This tree grows very fast – in 3 – 5 years it is 5 – 7 m tall and is flowering with small, white flowers. Timber of daisy trees is soft, with large pith at the centre of trunk. This shows that Scalesia pedunculata has evolved into a tree rather recently. Santa Cruz Island rises up to 864 m high. Although this height is not very impressive, the altitude zonation here is very well pronounced. This is the only island in Galápagos which is crossed with a road – thus the visitors to the island can easily reach the interior of the island. On the north-eastern slopes of the central highlands, at the height of some 400 – 700 m Scalesia pedunculata plants have formed dense stand – forest. Above this zone comes the next altitude zone – the unique Miconia belt – but this already is another story. Scalesia zone almost always is shrouded in fog. Rains are less frequent – almost all water here is brought by fog. Weathering process here has been rapid, plants and water have formed here nutrient rich soil. Constant mists help to sustain rich communities of epiphytes on the trees – thus creating a typical cloud forest with countless plants growing on the trunks and branches of Scalesia trees. Scalesia loves Sun and hates shadow. As a result daisy trees form a dense canopy and there are no young trees in the undergrowth. All trees in this weird forest have the same age! All of them have grown together and… they will die at once. Such sudden death of daisy tree forest has been documented twice. First "death" of Scalesia forest took place in the time period between 1935 and 1940. It is not clear why it happened. The coming years were dry and in the site of former forest started to grow countless seedlings of young daisy trees. Vast majority did not survive, but the remaining ones created a dense forest. Next mass death of forest took place in 1982 – 1983, during the El Niño event. Rain continued here for many weeks, roots of the trees rotted and strong winds uprooted the whole forest. Now, since then, a new forest has grown – and in coming decades all the trees most likely will die again. Scientists consider that elsewhere, where the diversity of trees is higher, daisy trees would form a shortlived forest, which over the time would be replaced by "real", slow growing hardwood trees. Occasionally, when a lightning or other accident would break down one of the old trees, fast growing daisy trees would have an opportunity to grow for a short while. 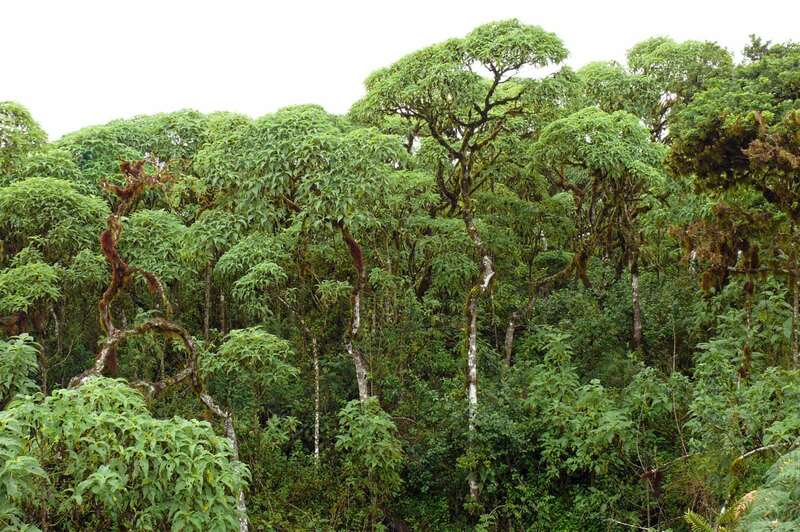 Galápagos Islands though have very few indigenous trees. The extreme weather pattern (long extreme droughts and prolonged periods of strong rain) prevent the formation of forests. Thus the daisy trees are dominating in the fertile highlands. Unfortunately man has brought deadly enemies and competitors to daisy trees. Cedrela odorata and Psidium guajava trees are spreading in the islands and upon every possibility are replacing the daisy trees. Due to this scientists are waiting with anxiety for the next mass death of the unique daisy forest. Serious enemies to Scalesia trees are goats. These agile animals manage to reach every smaller corner of forest and cliffs and are eating the saplings of trees. Goats have eliminated several other species of Scalesia in other islands – just a few "fugitive" specimens are hiding from the omnipresent goats. People themselves are clearing away the unique forest for pasture and for their houses. It has been calculated that more than 90% of the original Scalesia forest is lost. 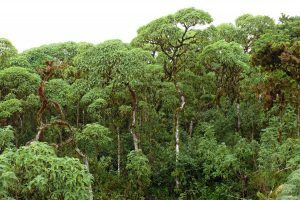 Syuzo Irow, Dieter Muller-Dombois, Population structure, Stand-level Dieback and Recovery of Scalesia pedunculata Forest in the Galapagos Islands. Ecological Research 3(3), 333-339;1988. Accessed in 11.03.2012. Galápagos Islands themselves are a true wonder of the world. 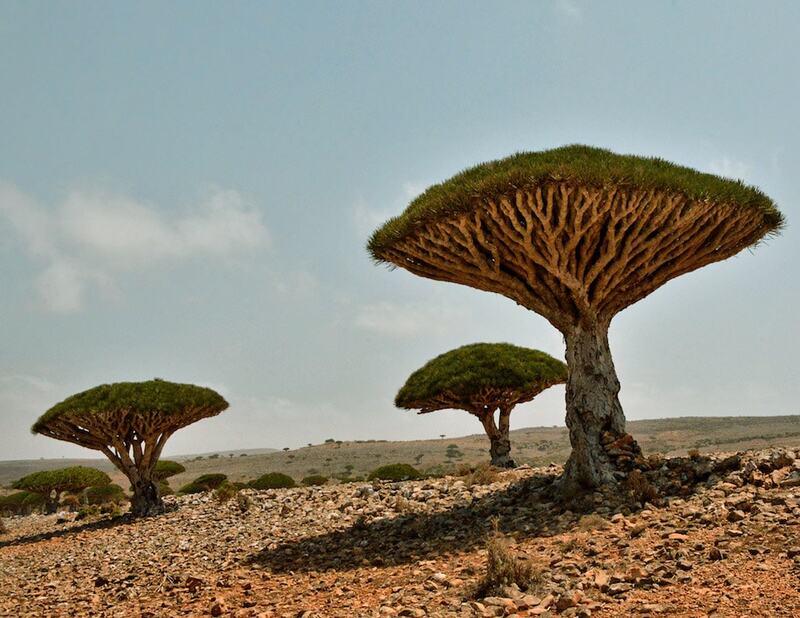 For several million years the life on these remote islands developed independently and many unique species of plants and animals evolved here. Here walk giant tortoises, large lizards dive in the sea looking for food, small passerine birds drink blood of other birds and high up in the mountains daisies have evolved into large trees. Biotope is rather small area with uniform environmental conditions and specific community of life. Wondermondo describes biotopes and ecosystems which have striking looks, look very beautiful or have other unusual characteristics. Rocky, fragile, beautiful, strange―the Galápagos archipelago is unlike any other place on earth. Its geology, its unique flora and fauna, and its striking role in human history intersect in surprising and dynamic ways. This book is the most wide-ranging and beautifully illustrated book available on the famous islands. Twenty thousand copies of the first edition of Galápagos were sold. An attractive and comprehensive guidebook, this work has been completely revised and updated by the author. The reader will find an easy-to-use text which details the natural history of the plants and animals found in the Galápagos Islands.